I have finally finished Allietare! I really love the way this turned out and it is destined to go on my bed. 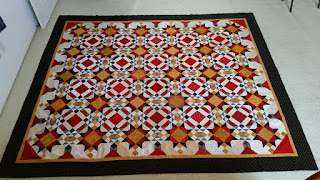 After quilting it will have scalloped borders. I have only done this on a couple of quilts and it was awhile ago, so I am looking forward to this part of finishing this quilt. 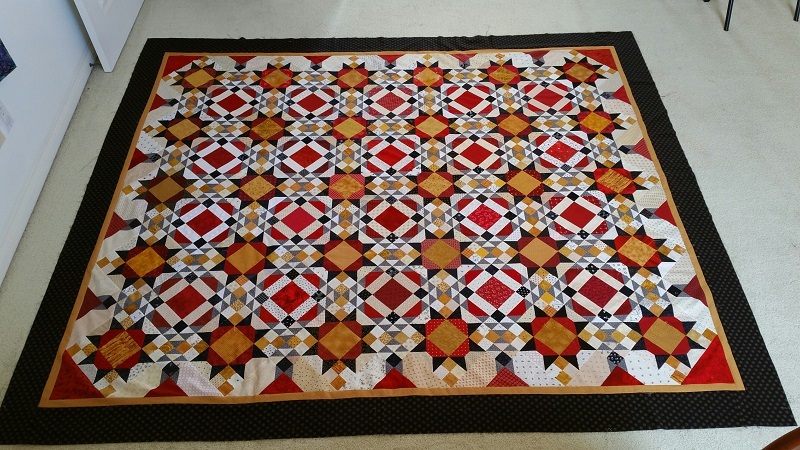 This is a large quilt, so a little hard to photograph. It finishes at 96x81. It also used up 25 yards of fabric-all from my stash. The numbers for the year are getting better! Used this week: 25 yards. Net Fabric Used YTD: 32.75 yards. Yes indeed, the finish of Allietare is lovely, job well done. I think the scalloped borders will be a great choice. Your Allietare turned out beautifully! Congrats on the finished flimsy.